To restore India’s gradually slowing wind power capacity addition, the government is planning to invite bids for 4,500MW of wind power in three tranches of 1,500MW each. The bids will be invited in October, December and February (2018). Wind auctions conducted on October 4 this year saw record low wind tariffs at Rs 2.64 per unit. No capacity addition in the wind sector might have also resulted in the low tariffs, as equipment suppliers were left with huge inventory. Global energy bodies have raised doubts if such low tariffs are sustainable. For Europe, low wind power prices mean higher 2030 targets? 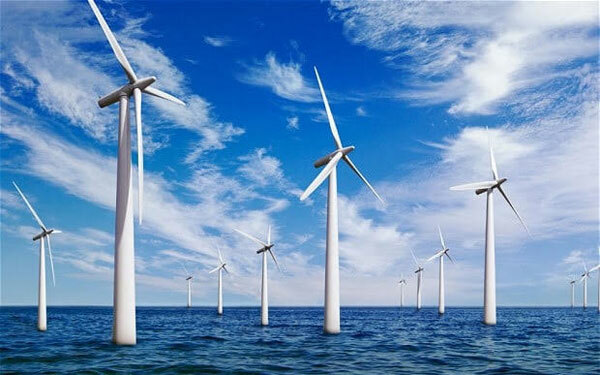 The falling cost of offshore wind power has created the chance to exceed the current 2030 European RES target. The EU pact that requires 27% energy from renewable energy sources was made on the assumption of a cost level that would reach €123/MWh in 2020. Experts say, the current costs are at almost half the price of what was originally estimated. German power producers may have to pay customers to use electricity this weekend. Wind generation is expected to climb to a record high, creating more output than needed and driving electricity prices below zero. Negative prices mean that producers must either shut down power stations to reduce supply or pay consumers to take the electricity off the grid.